The French passing bracket design is borrowed from the classic bracket design of the Steel Collection. The bracket arm cup allows the pole to snap in. 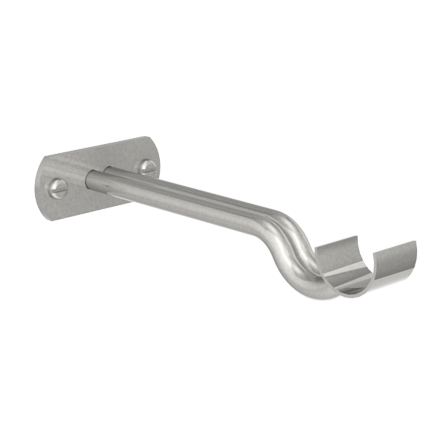 Passing brackets are cleverly designed to allow the drapes to move past the bracket when used in conjunction with passing rings (sometimes known as c-rings). 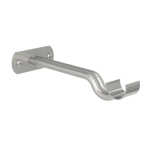 The bracket is made from steel, with the arm being hand-forged. It has been carefully polished and prepared by hand for the finishing process, before receiving it’s specialist coating.